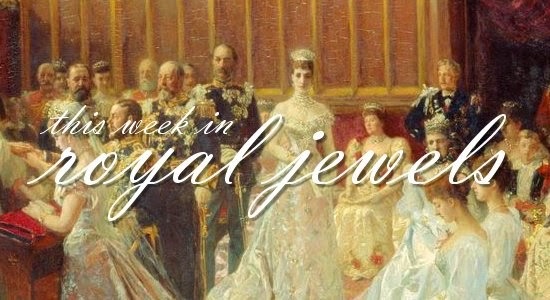 The big bejeweled events of the new year have given way to more casual pieces, but we still have some glitter to enjoy. Don't forget to vote in the weekly poll! 10. 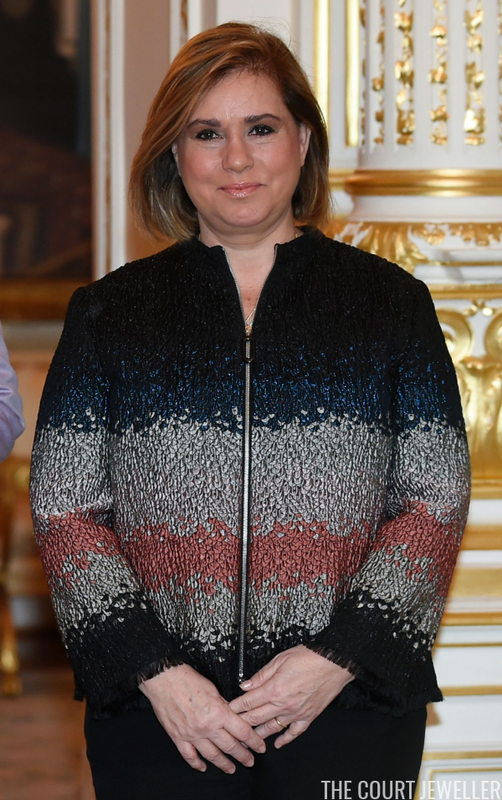 Grand Duchess Maria Teresa wore a simple gold necklace and her wedding ring to welcome Angela Merkel to Luxembourg on Thursday. 9. Princess Eugenie of York wore bracelets and rings in Covent Garden on Thursday. 8. 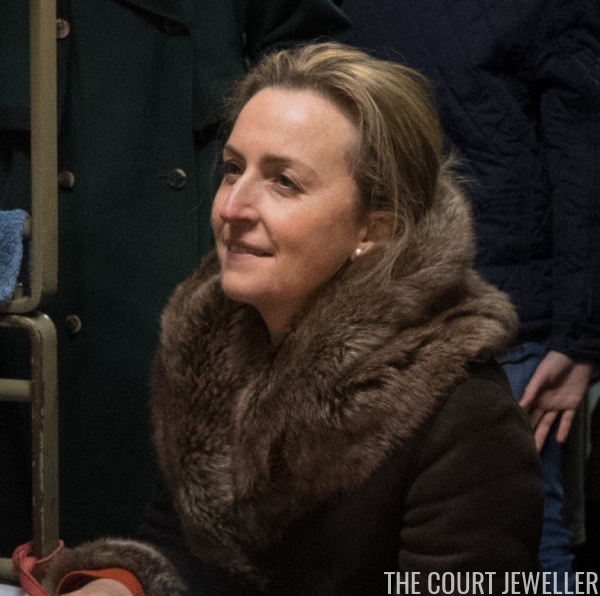 In a late addition from last Thursday, Princess Claire of Belgium wore pearls during a visit to a shelter in Brussels. 7. 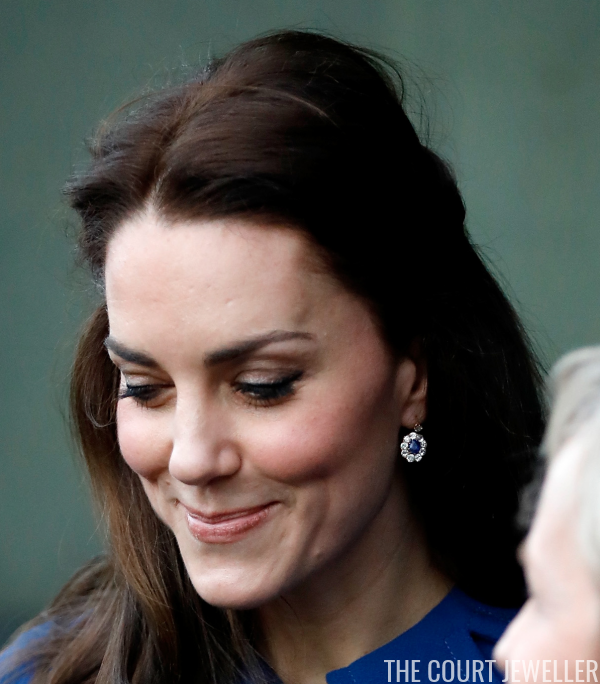 The Duchess of Cambridge wore her sapphire and diamond cluster drop earrings for a visit to a Child Bereavement UK Centre in London on Wednesday. 6. 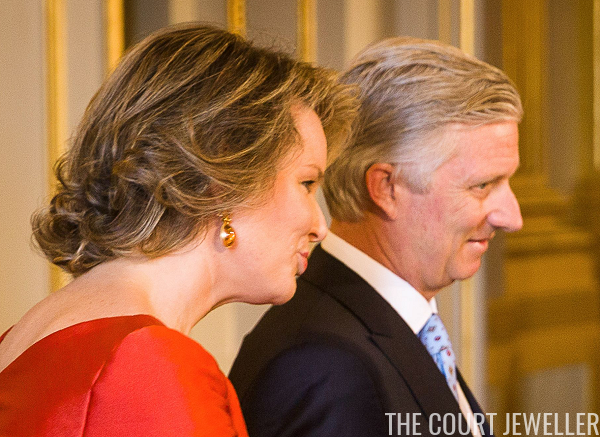 Queen Mathilde of the Belgians chose golden earrings for a diplomatic reception at the Royal Palace in Brussels on Thursday. 5. In Spain, Queen Letizia wore hoop earrings for a visit to the FEDER headquarters on Thursday. 4. Letizia chose gold earrings from Tous for an Epiphany celebration at her father's home on Friday. 2. Crown Princess Mary of Denmark wore a lovely pair of drop earrings and a glittering bracelet on Tuesday to accept an award from a Danish media group in Copenhagen. 1. 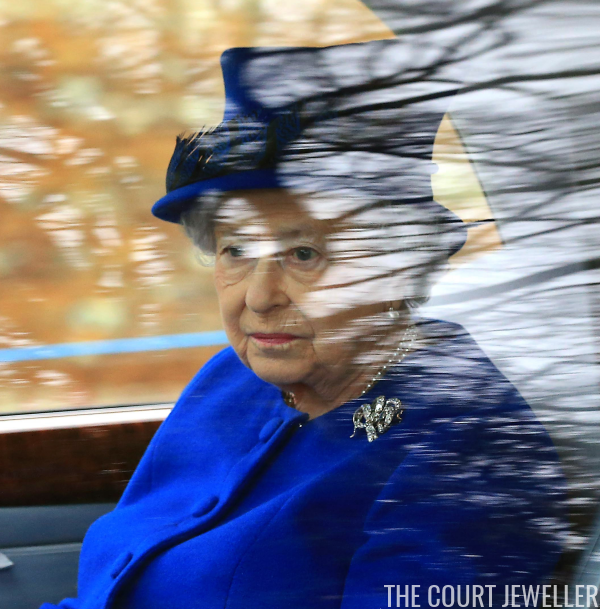 It was so good to see Queen Elizabeth II of the United Kingdom out and about again, and it was even better to see her wearing one of Queen Victoria's bow brooches for her trip to church near the Sandringham estate.